Earn $6.81 in VIP credit (681 points)What's This? 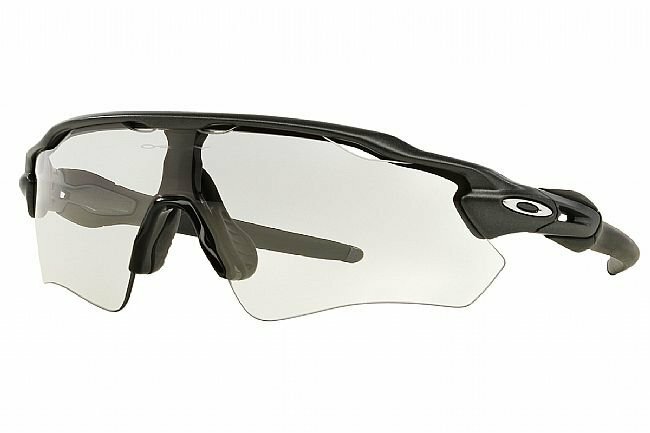 The Oakley Radar EV Path Photochromic Sunglasses improve upon the original Radar® with a taller lens for a field of view that extends higher, resulting in increased comfort and better peripheral vision. 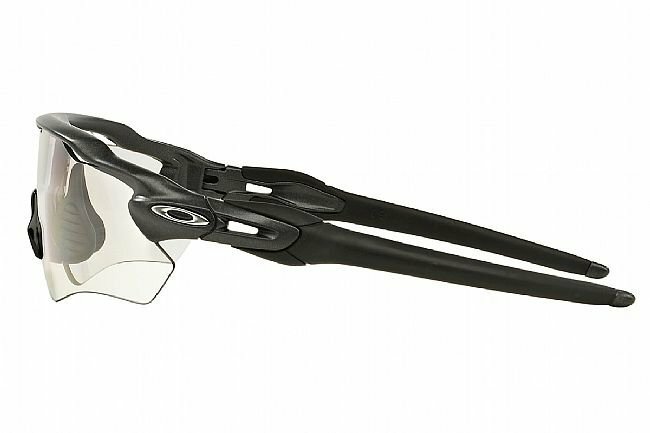 Lightweight and durable O Matter™ frame material is styled in a geometric design that is distinctly Oakley, and Unobtanium® earsocks and nosepad increase their grip with perspiration so they stay in place under any conditions. 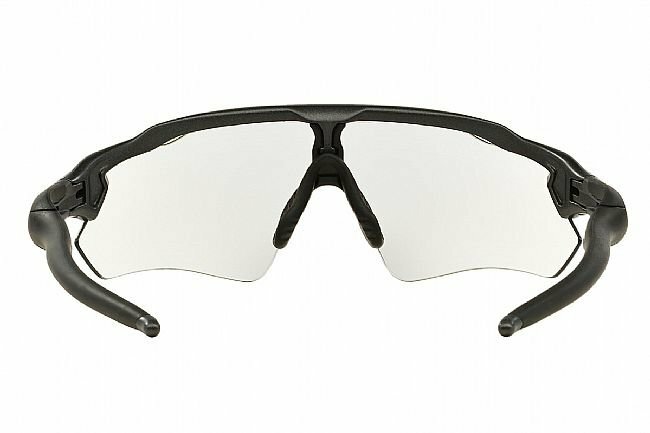 The HDO® Plutonite® lens is precision manufactured to eliminate distortion for optical clarity like nothing else, and their above and beyond impact protection resists both high-mass and high-velocity collisions. This Path™ model features a smaller lens compared to the Radar EV Pitch™ to compliment most face sizes. Photochromic lens transitions from Clear to Black Iridium with exposure to sunlight. Includes Soft Vault case and microfiber cleaning bag. Frame measures 138 mm wide with 128 mm temples. Lenses are 135.4 mm wide and 47.3 mm tall. 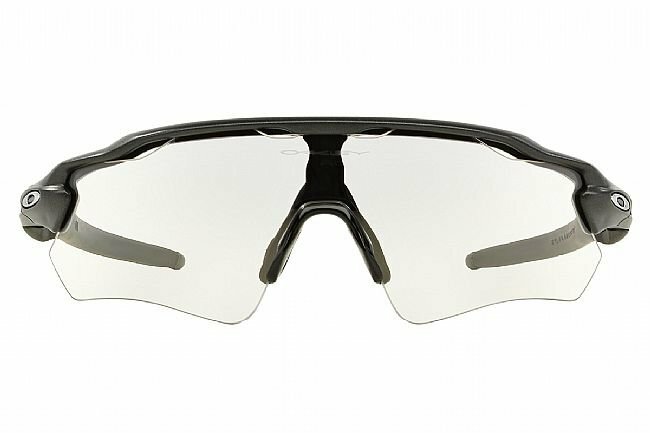 Bought these for the photochromic lense as 80% of my riding is early(ish) mornings when the shadows along tree lined roads make it difficult to differentiate what's what. They do the job! Surprisingly, really liked the slightly taller profile. Allows for better coverage when in aggressive position without have to crane the neck so much. Ideal for rides that move between shaded and brighter conditions. Lenses adapt quickly. Lots of my rides are on heavily wooded hills where traditional dark lenses are too dark for the shady sections. Pricey withhigh quality optics.